- For 2 extra entries each, simply like my facebook page, or tweet about this giveaway. and will close at 11:59pm on 4th August 2012. I'm mostly looking forward to have some time off, relax and read some nice books. I'm really looking forward to tomorrow actually - beauty day while the boy is away! Also I have loads of fab days planned - with family at the cricket and my friend is having a tea party for her birthday and there are going to be numerous lovely walks and loads of cocktails! I follow on GFC and I follow on twitter so I will tweet! 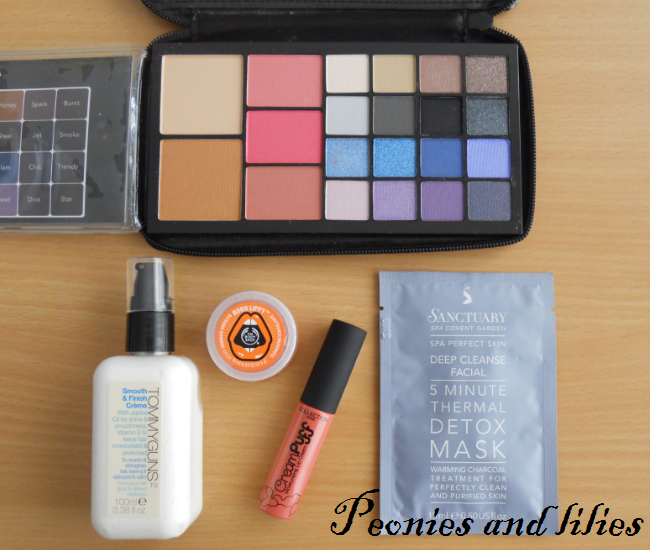 This is such a great giveaway and I'd love to try these products! I follow you as lindi. I'm already a follower. I am looking forward to reading. I've bought way too many books over the winter, but because of uni, exams etc, I didn't have time to read them. I will do that now while enjoying the sun, with a frozen cocktail by me! I already like your facebook page too! I am really looking forward to going to hong kong in August. Hopefully will catch a nice tan and spend some quality time with my grandparents who i hardly get to see. Also do some crazy shopping in SaSa and street markets :D Love your blog and thank you for your generosity for this giveaway! This summer I'm looking forward to use my neon bright makeups:)Yey! I'm looking forward to my best friends wedding, I really cannot wait :) ! I'm mostly looking forward to my trip to California, it should be pretty fun. I am really looking forward to my birthday *Monday! * and I also loved seeing my new cousin last weekend! I'm looking forward to booking my trip to Berlin! I am looking forward: trip to Finland, we are going to amusement park and water park. I know, I know I am 24 and should not enjoy these kind of things anymore, but since I have travelled so little, it is better now than never, right? I'm looking forward to spending time with my friends! I really want to the beach with my family. I look forward for relaxing and having fun. I am looking forward to catching sone sun, tanning at list a little my skin.